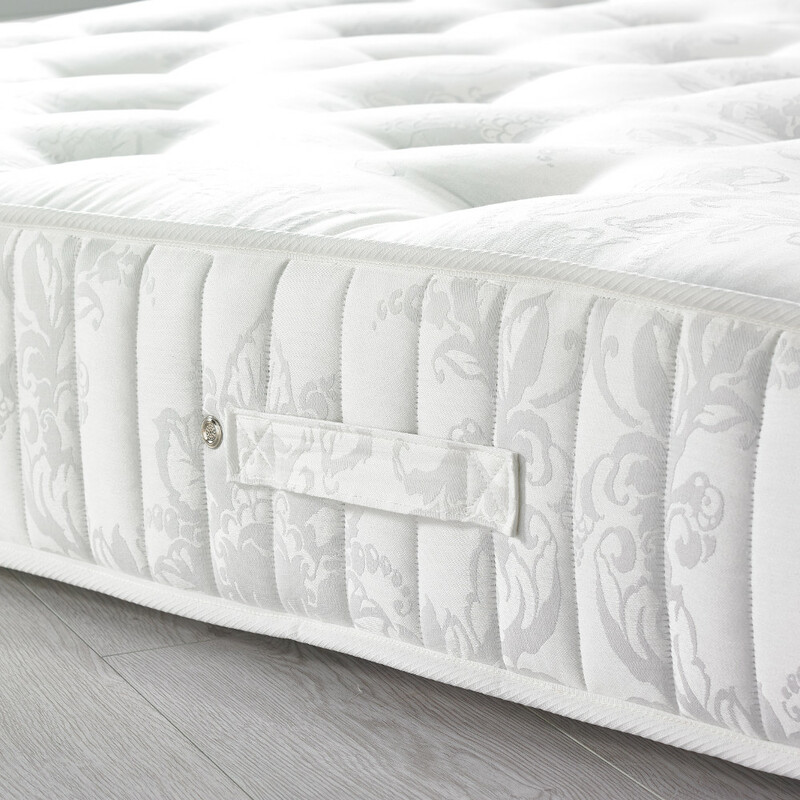 The Richmond Pocket Sprung Natural Fillings Mattress not only provides orthopaedic assistance but an excellent night’s sleep to those seeking a cosy sleeping space. Delightfully durable whilst also being incredibly cosy, the Richmond Pocket Sprung Natural Fillings Mattress adheres to an exceptional design that potently blends wonderful fillings with endearing finishing touches. Filled with an abundance of natural materials, the Richmond Pocket Sprung Natural Fillings Mattress is awash with wool, cashmere and mohair, truly showcasing how sublime it is as a naturally filled mattress. These fillings aren’t just comfortable, they also make the Richmond Pocket Sprung Natural Fillings Mattress rather durable. The Richmond Pocket Sprung Natural Fillings Mattress is designed with longevity in mind as well, enriched by a deep, hand-tufted pattern. 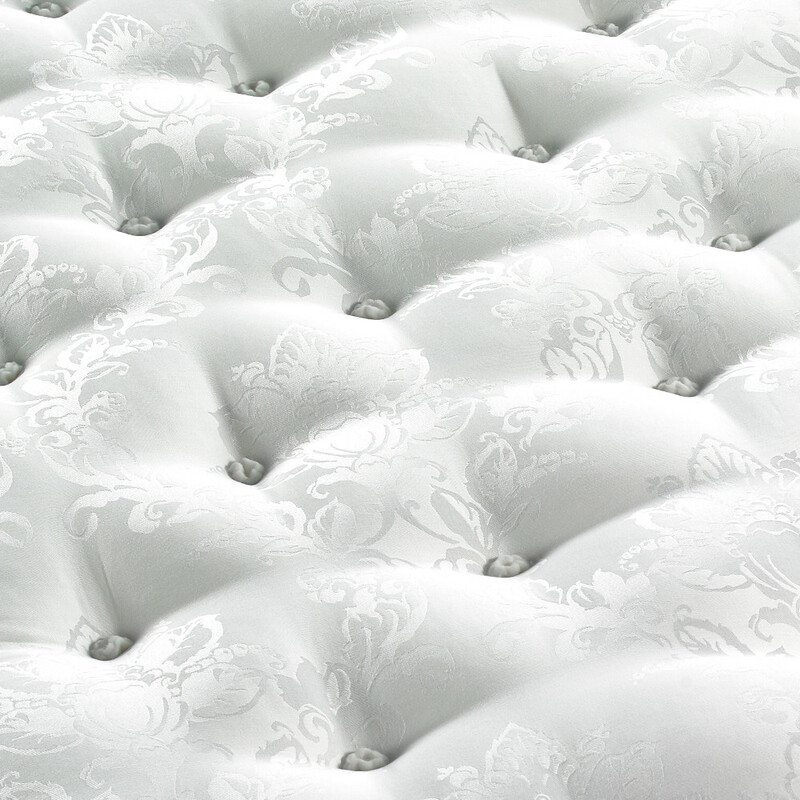 The wealth of natural fillings aren’t the only elements within the Richmond Pocket Sprung Natural Fillings Mattress that makes it a fantastic mattress. Crafted to be an exceptional pocket sprung mattress with a high pocket spring count, these innovatively designed, independently nested springs make the Richmond Pocket Sprung Natural Fillings Mattress all the more comfortable and, best of all, isolate restless movements a sleeper may make throughout the night. 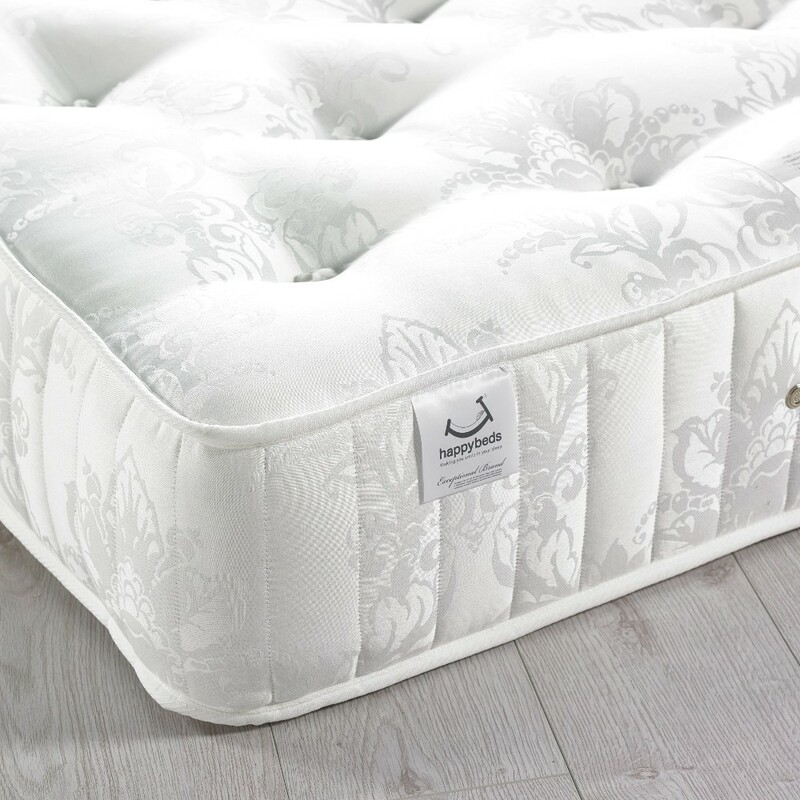 The Richmond Pocket Sprung Natural Fillings Mattress is rated as being quite firm, making it excellent for sleepers that would benefit from extra joint support. 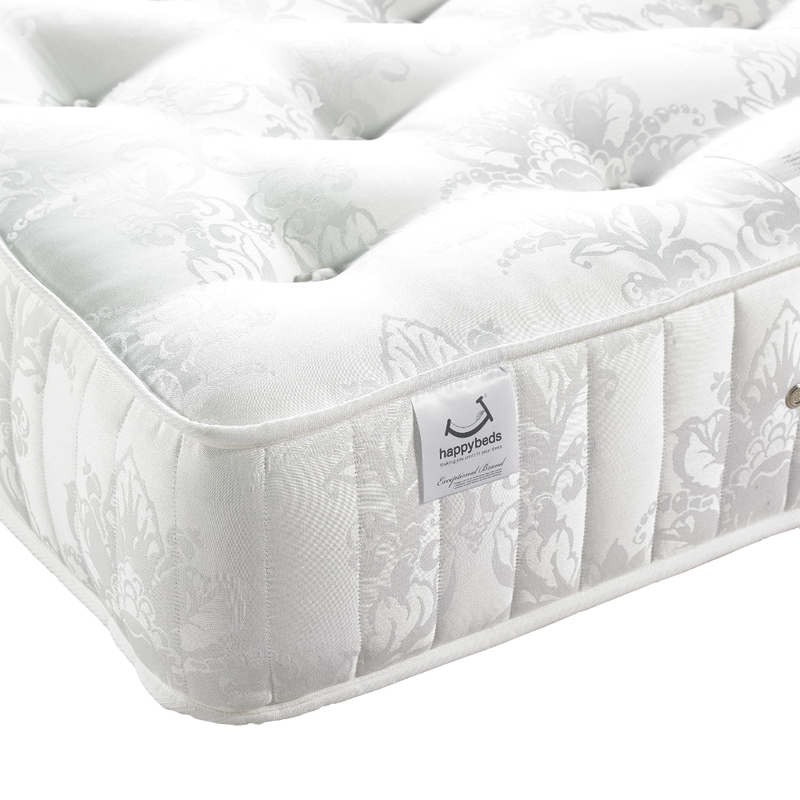 This level of support is sure to remain for years too, thanks to the breathability enhancing air vents found throughout the Richmond Pocket Sprung Natural Fillings Mattress, and as it only needs to be flipped and rotated once every six weeks the hand-stitched handles help maintenance and mobility simple. The Richmond Pocket Sprung Natural Fillings Mattress also serves as an excellent tufted mattress, being finished with stability enhancing wool tufting. Hi, you say it is filled with natural materials but, Is the mattress treated with fire retardant chemicals? All mattresses must be treated with fire retardant chemicals in accordance with the British Standards, despite the fact that the fillings are naturally fire retardant. is this delivered flat or vacuum and rolled? The Richmond 3000 does not come vacuumed or rolled. Is it suitable for a wooden bed frame? And is it a suitable firmness or too soft if one person is 16-18 stone? What's the cover made of? As shown by our innovative weight sliders, 16-18 stone should put the mattress at a medium to medium firm tension for users. The Richmond 3000 is made to be suitable for all frames of bed and the mattress covering is made of Cotton based Damask Fabric. Does it have a firm edge all the way round? The Richmond 3000 does indeed have a firm edge around it. It is however advised against sitting on the fringe of the bed.